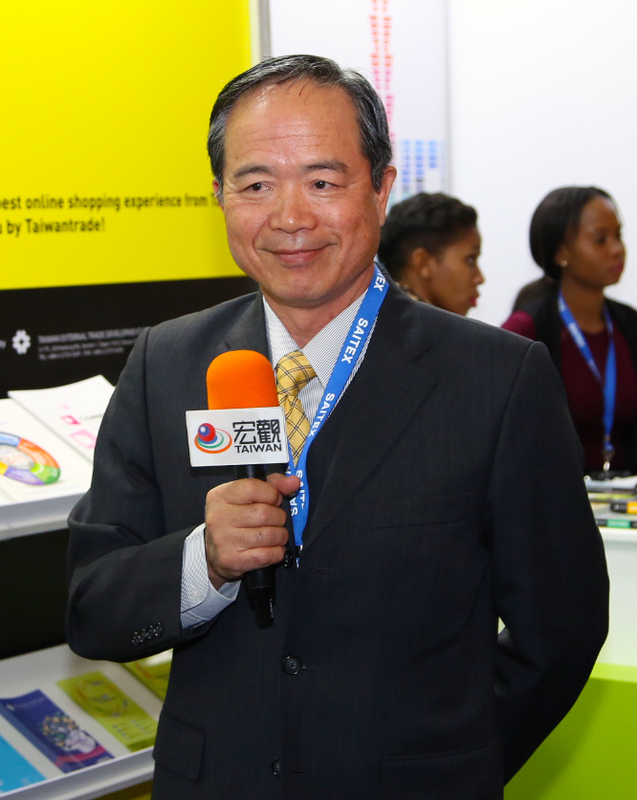 Trade between Taiwan and South Africa is ‘good, but could better,’ according to the Taiwanese Ambassador, speaking during a visit to a trade show in Johannesburg today. The Ambassador to South Africa, His Excellency John C Chen, praised SAITEX 2016, which brings together thousands of Africa retailers and entrepreneurs with manufacturers from across the world. “We have a good business relationship with South Africa and we see this country as our gateway to the rest of Africa,” said HE Chen. He visited the 18 exhibitors at the Taiwan Pavilion at the South African International Trade Exhibition today which included bathroom accessories, plumbing, houseware, water purifying equipment, kitchenware, hosiery and computer equipment. He admitted there has been a slight decline during the past 18 months, which he blamed on the global crisis but revealed South Africa is his country’s number one trade partner in Africa.